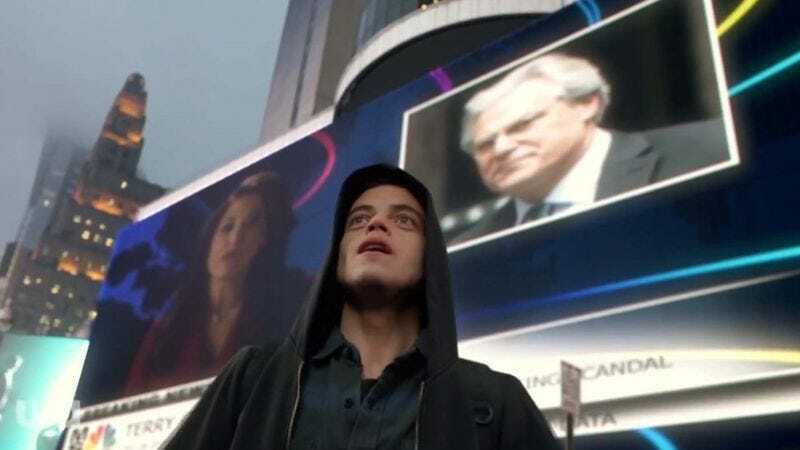 According to The Hollywood Reporter, Amazon Prime has acquired the exclusive online streaming rights for USA’s head-trip hacker series Mr. Robot. Starting next year, all ten episodes of the show’s first season will be available for Prime members in the U.S., Britain, Germany, Austria, and Japan. Of course, that’s assuming that any of this is real—that we’re really writing these words right now, you’re reading them, and these companies and programs really exist, as opposed to merely being a projection of our conflicted inner selves. And honestly, who can say for sure one way or the other? The series is a logical acquisition for the streaming service (already home to USA’s other show Suits), given its pilot episode was originally released online, where it was viewed by 2.7 million people prior to its launch on the cable channel. However, this again assumes that these so-called “viewers” aren’t part of some larger conspiracy, meant to intimidate us so that a campaign to destabilize the entire world can’t be put into effect. But then again, maybe that’s just us. And we can’t even say for sure if you’re actually listening to us. Did we make you up?